Previous Nightwood cook Jason Vincent announced that he will be opening a restaurant this spring in Logan Square on the city’s foodie little strip on Armitage Avenue. 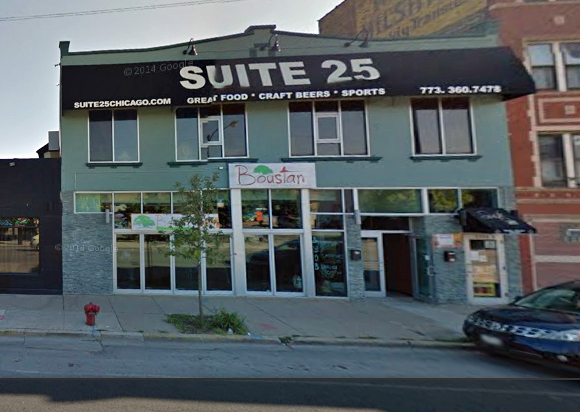 It will be located at 3209 West Armitage, taking over the spot that used to be Begin Thai. The restaurant will be called Giant and will feature elevated Midwestern dishes. 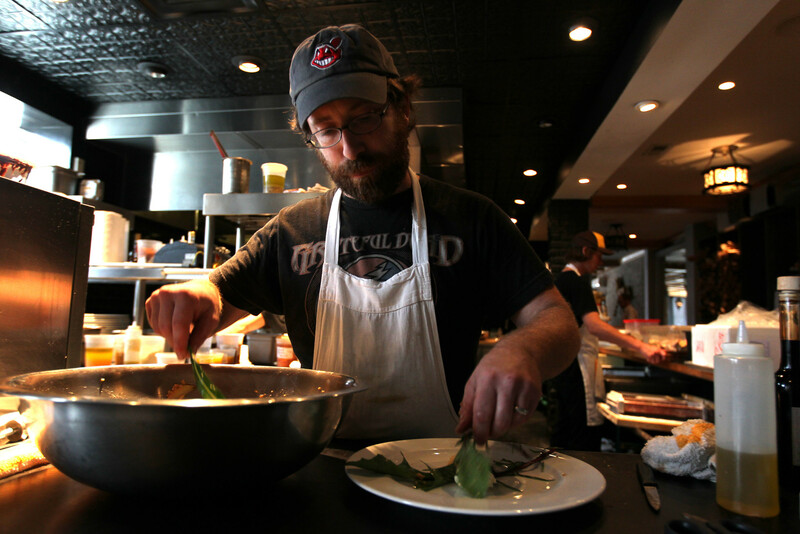 Ben Lustbader also from Nightwood and Josh Perlman will also be joining Vincent on his new endeavor. 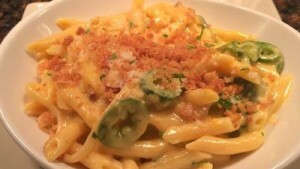 Tired of the same old Italian food with the heavy pastas and cheesy indulgence? Maybe you’d like to try Osteria Langhe Restaurant which honors authentic Piemontese cuisine from the Piedmont region in northwestern Italy bordered by Switzerland and France surrounded by the Alps. Along with their food that stays true to Piedmont, they also have a grand selection of 120 wines to pair with your seasonal courses from the region which they are more than willing to help you choose. The restaurant opened in May of 2014 and is owned by Aldo Zaninotto and Cameron Grant who know what they are talking about when it comes to Piemontese cuisine. Zaninotto expresses his happiness due to the fact that about 70% of his customers are those who live in the neighborhood and return. So this new year, why not try something new? 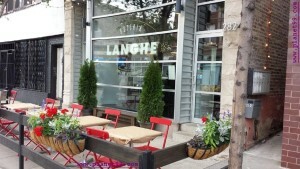 Read more about this story here and visit Osteria Langhe at 2824 W. Armitage. The West Loop can expect a new high fare restaurant in its corridor soon at 177 North Ada Street. 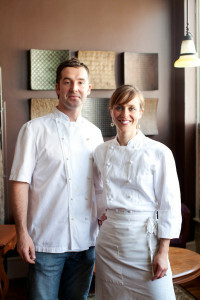 It will be run by chef power couple John B. Shields and Karen Urie Shields, both of whom were raised in Chicago. John previously worked at Charlie Trotter’s and Alinea and Karen worked at Charlie Trotter’s (where she met her now husband, John) as well as Tru. The restaurant will be called Smyth + The Loyalist with a 40-seat dining room and will have a downstairs lounge. They will offer “an original, eight-course tasting menu for $135 and a 16-course tasting menu for $220. The chef couple will rely on an “exclusive custom collaboration” with a 20-acre Illinois farm for much of the restaurant’s produce, herbs and flowers,” explains Stephanie Lulay in this DNAinfo article. The couple is returning to Chicago after five years spent in Southwestern Virginia where they ran Town House and Riverstead Inn. Accompanying them will be their two daughters. Who doesn’t love a good slice of pizza? 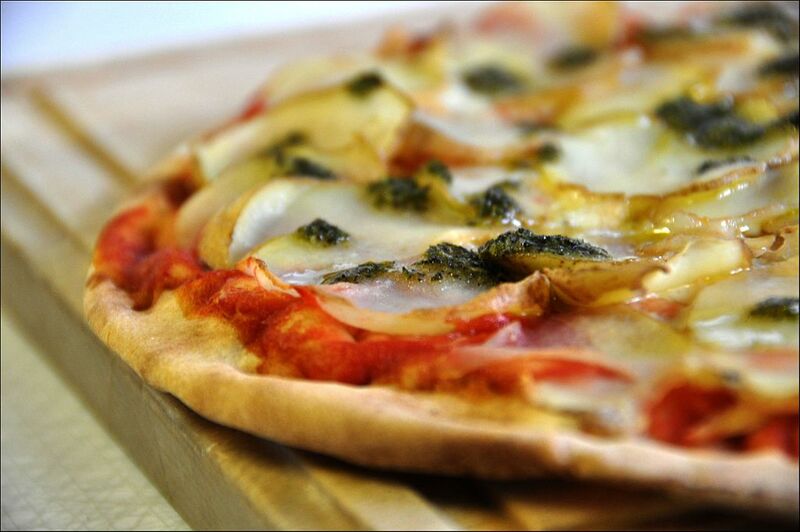 Or a cold slice of pizza…. or any kind of pizza for that matter?! Lucky for you, if you are around the Logan Square area, you will never have to worry about getting a boring and drab piece of pie that leaves you feeling unsatisfied immediately after. 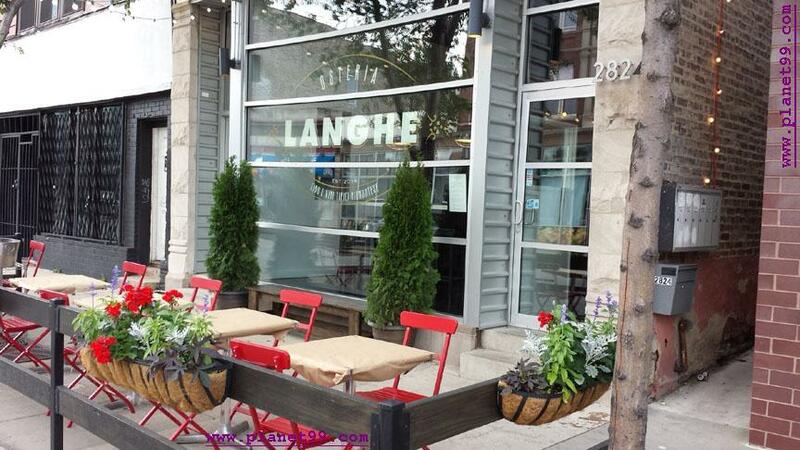 Dante’s Pizzeria: 3028 W. Armitage- Cool thing? They have tofu as a topping! Big Tony’s Pizza: 3276 W. Fullerton- Cool names- Donnia Brasco Wrap and the Al Capone Wrap. Reno: 2607 N. Milwaukee- They have great pizza and amazing t-shirts. Did you see the one with the octopus?! 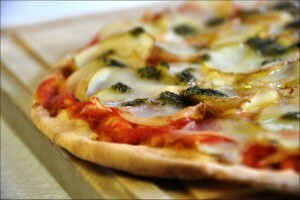 Boiler Room: 2210 N. California- They have a fresh fruit pizza….need I say more? Papa Ray’s: 2551 W. Fullerton: they are known for their wings and their pizza! Killing two hunger pangs with one restaurant. Only Mac ‘n’ Cheese? Yes Please! Whether you grew up in a crowded working-class household or were the only heir to a millionaire, odds are, you grew up eating one version or another of good old fashioned mac ‘n’ cheese. As we grow older, we make more sophisticated variations of childhood favorites. Like the grilled cheese with Cambell’s tomato soup that suddenly transforms into a grilled cheese with tomato when we’re 19. That’s why when the Tribune announced that a mac ‘n’ cheese only restaurant will be gracing the Logan Square enclave, people were a little more than excited. 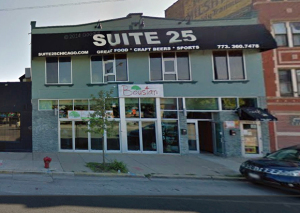 The new not-yet-named restaurant will be located at 2354 North Milwaukee and will open for business in April of this year. The joint will be run by Russ Grant (East Room, Parts and Labor, Boiler Room) and Laura Piper (One North Kitchen), who would like to create a space where people can grab a unique bite to eat in-between going to bars. With a casual dish with a jazzy twist (like Piper’s signature buffalo chicken mac ‘n’ cheese) that uses “very simple, very straightforward, high-quality ingredients,” how can you go wrong? So put your briefcases away and get your two-wheelers out you hard workers, it’s time to embrace the big kid in you. Trendy bars and restaurants are popping up on every corner in Logan Square. It’s an exciting time to live in the neighborhood. But there are nights when I prefer a healthier alternative to the pub grub, so you can imagine my excitement when Boustan Mediterranean Cafe opened at 2529 N. Milwaukee Avenue. When it comes to take-out, Mediterranean is a favorite of mine because the food is typically made with fresh, healthy ingredients, sold at an affordable price. Compared to favorites such as Sultan’s Market or Falaffel and Grill, which are located in Wicker Park, Bouston did not disappoint. The vegetarian assortment appetizer is perfect for two with a sample of creamy hummus, baba ghanouj, falafel, dolmas, and choice of salad. For lighter fare, try the Mediterranean salad topped with chicken shawarma or a cup of lentil soup. A personal favorite are the shawarma sandwiches, stuffed with pickles and grilled before serving, which lends an excellent crunchy texture. As you step into Bouston, the first thing you may notice is the immense size of the location. The restaurant is a huge open space, with round two- to four-person tabletops throughout. On my most recent visit, I was happy to see they were undergoing construction to install wall partitions in various places. My thought is that these improvements will create a more intimate setting and attract more in-house diners, who can take advantage of Bouston’s BYO policy. For those who prefer to enjoy their food from the comfort of their living room, take-out and delivery are available. Overall, Bouston Mediterranean Cafe offers flavorful food, quick service, and a much needed Mediterranean option for Logan Square.